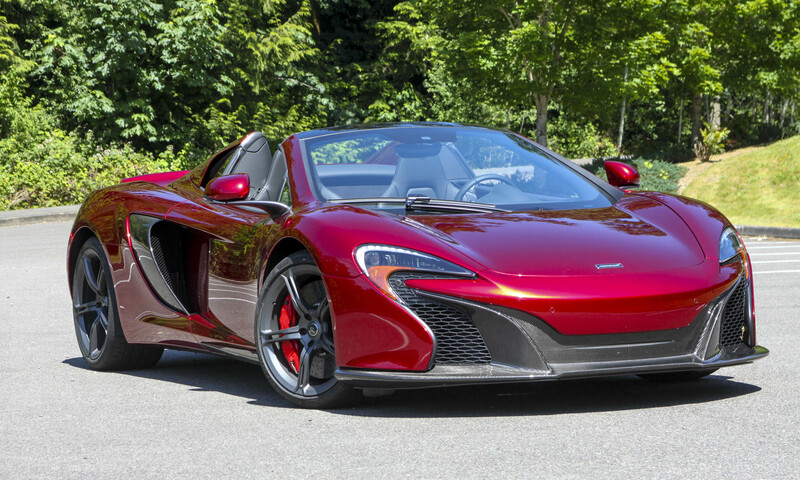 Introduced at the Geneva Motor Show last year, the 2015 McLaren 650S Spider is the British marque’s current “entry-level” high-performance supercar that replaced the MP4-12C. 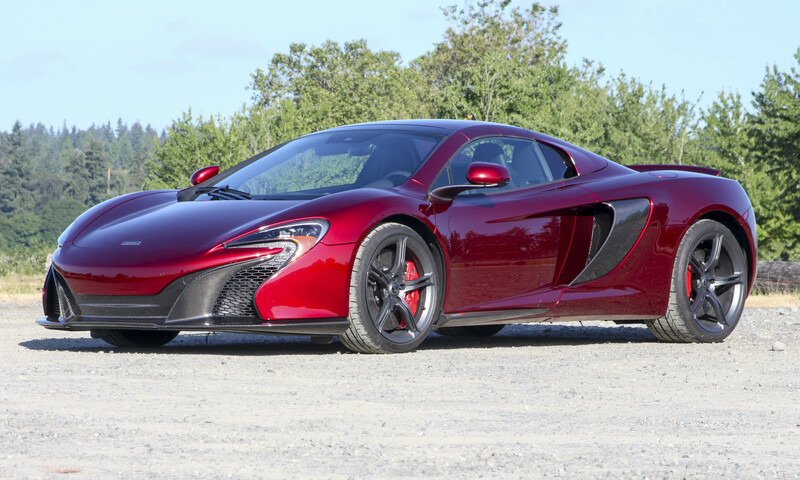 With influences from the P1 hybrid supercar, this gorgeous exotic competes against heavy-hitters such as the Ferrari 458 and Lamborghini Huracan. 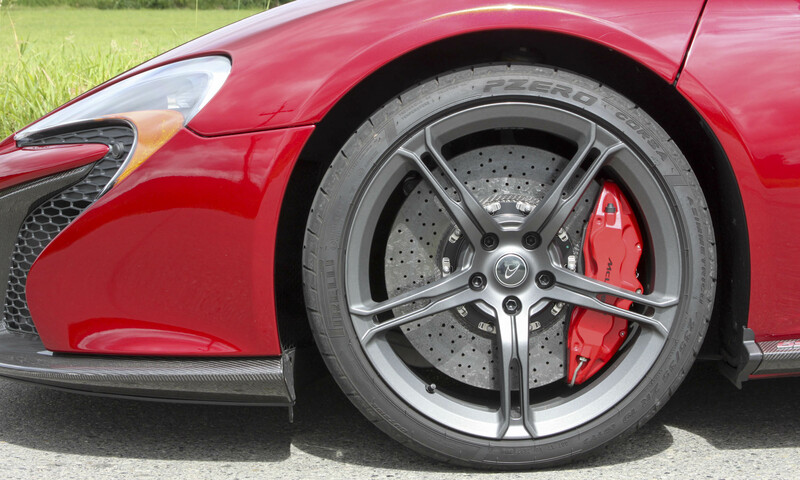 Our test car included a number of options including the Carbon Fiber Exterior Upgrade Pack, Volcano Red Elite paint, Sport Exhaust and Carbon Ceramic Brakes. 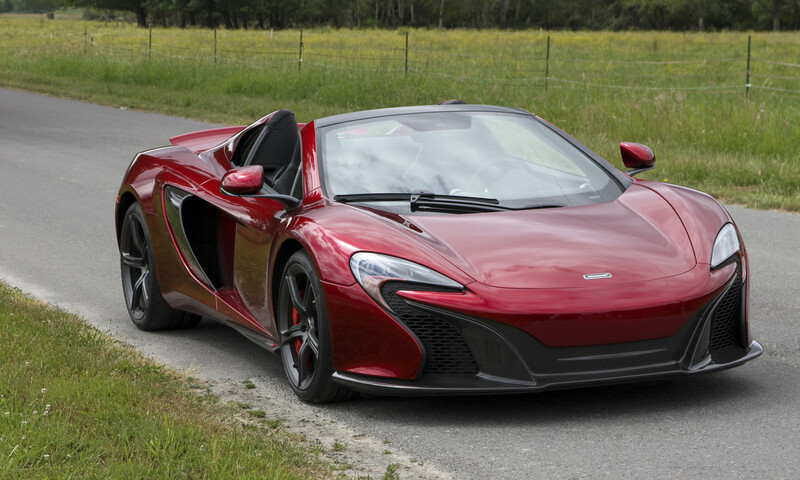 It has a retail price of $331,175. 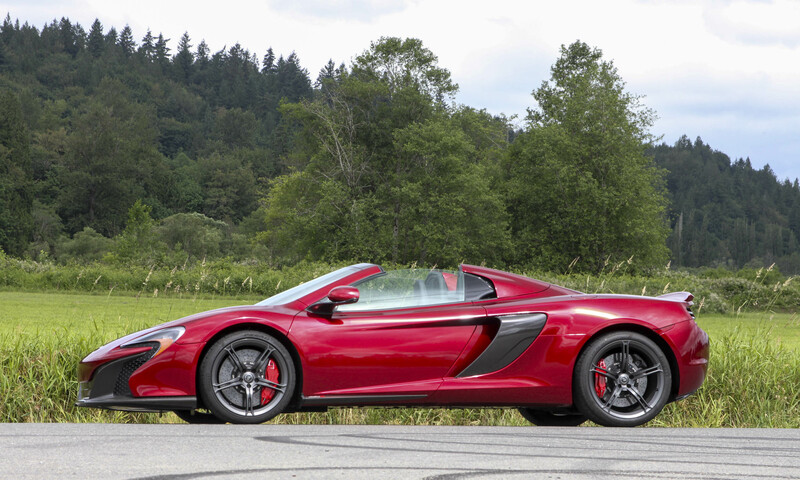 For $300,000 you get a pretty nice car, so there was a lot to like in the 650S Spider. Most noticeable when the car arrived was the paint. In the bright sunshine the Volcano Red has such depth it looks like you could dive right in. 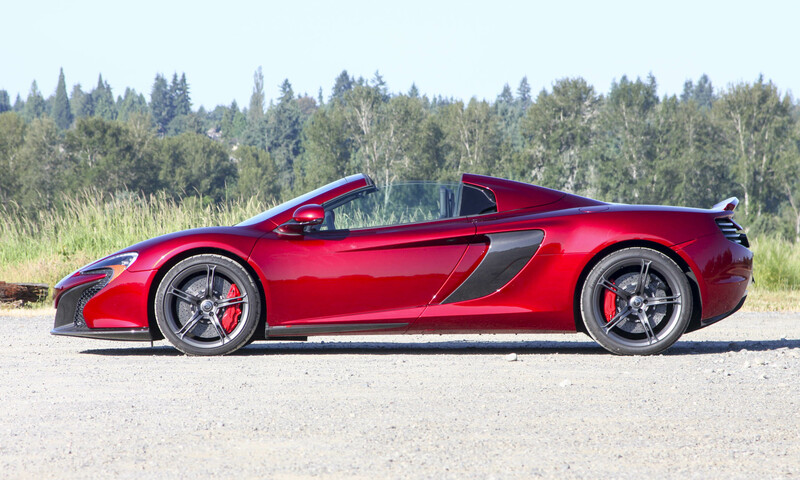 This is what McLaren calls the “Elite” paint, and it adds $5,680 to the car’s price. 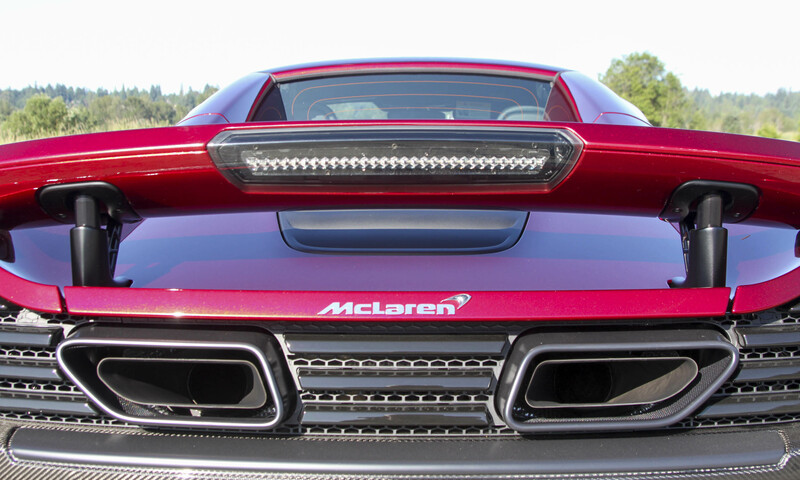 But it’s not just the paint that garners attention — the sleek lines turned heads wherever we went. 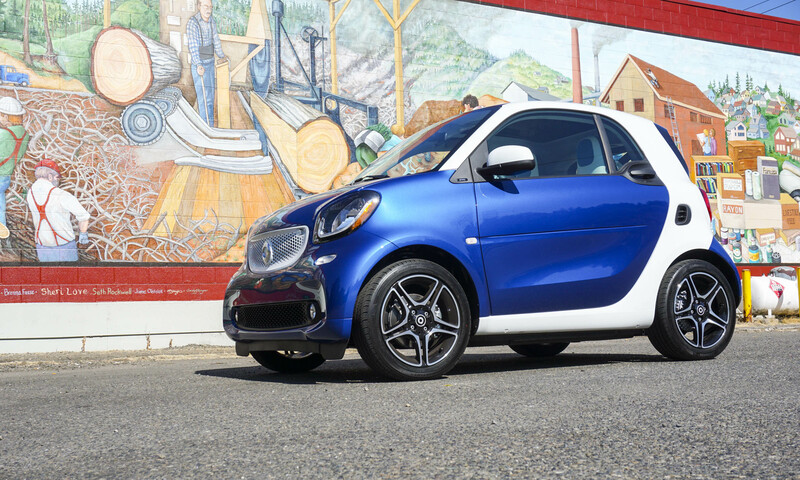 Once you get behind the wheel, you forget about the paint — the engine’s roar captures both your attention and anyone in the immediate vicinity. 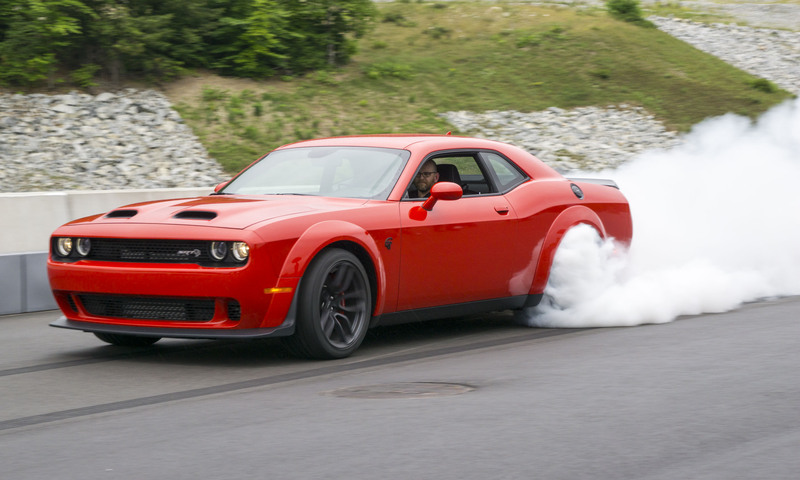 The 3.8-liter twin-turbo V8 sits right behind the driver and sounds incredible. 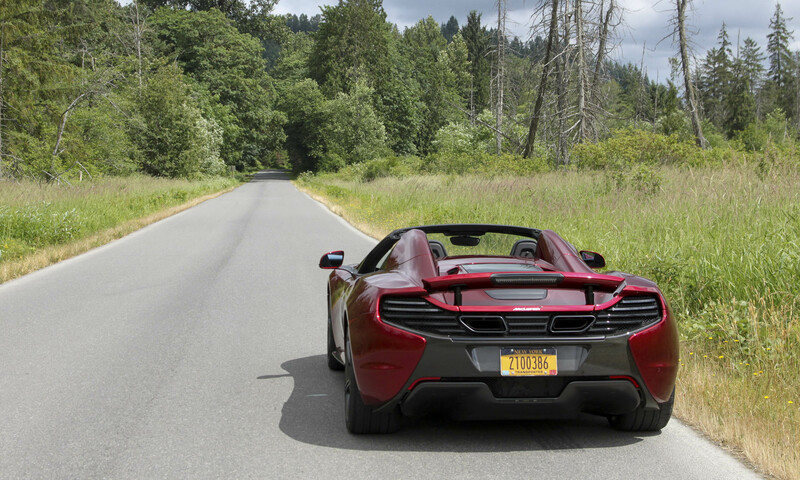 Two big pipes between the rear taillights play a wonderful tune — we actually sought out the historic Mount Baker Tunnel, the last portal of I-90 westbound, just to hear this wonderful sound reverberate off the concrete walls. 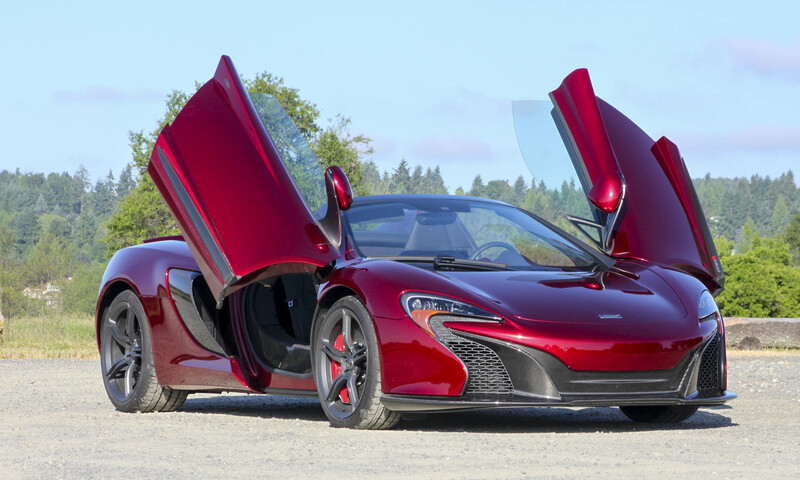 The 3.8-liter twin-turbo V8 in the 650S puts out 641 horsepower and 500 lb-ft of torque. 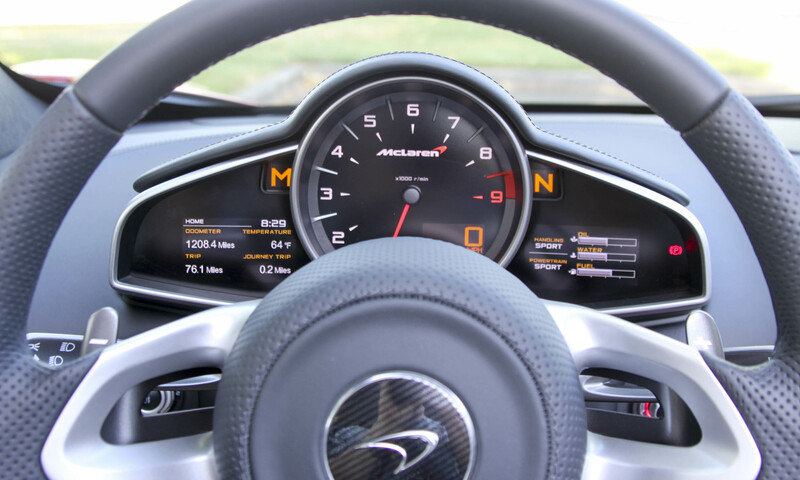 McLaren claims the sprint to 60 mph takes just 2.9 seconds and 100 mph comes up in 5.8 seconds. 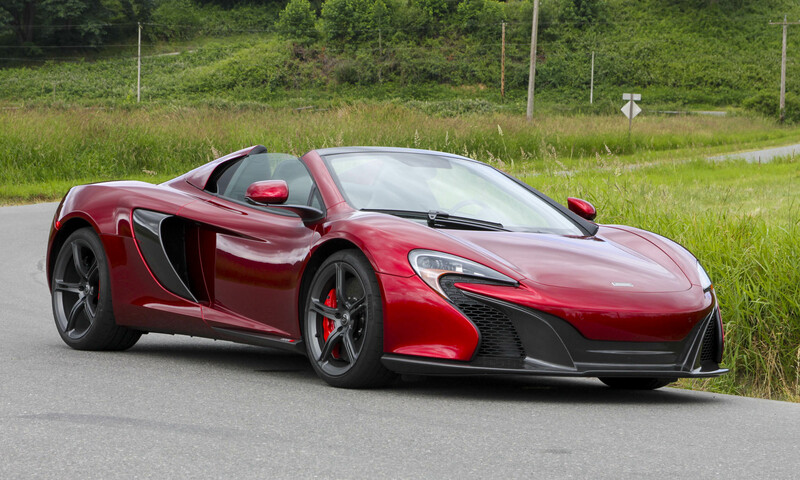 After experiencing the brutal acceleration of the 650S at full throttle, we have no reason to doubt those stats. 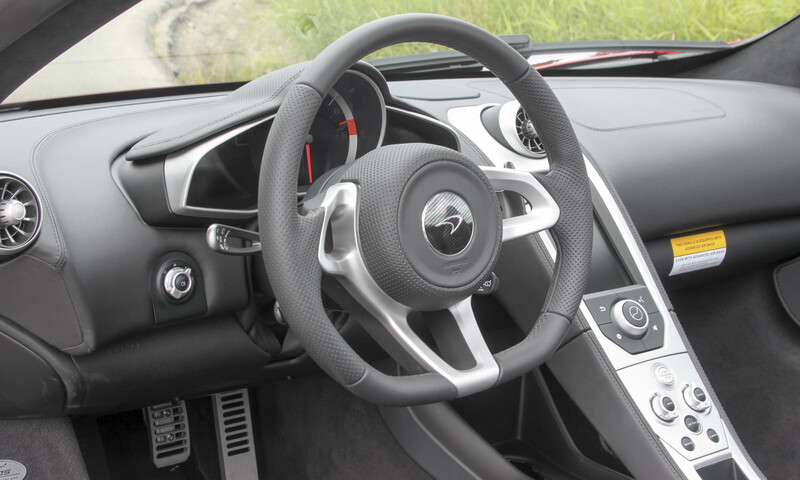 The 7-speed dual-clutch gearbox can be left in automatic, but we used the paddle shifters, which react blindingly quick even under full throttle. 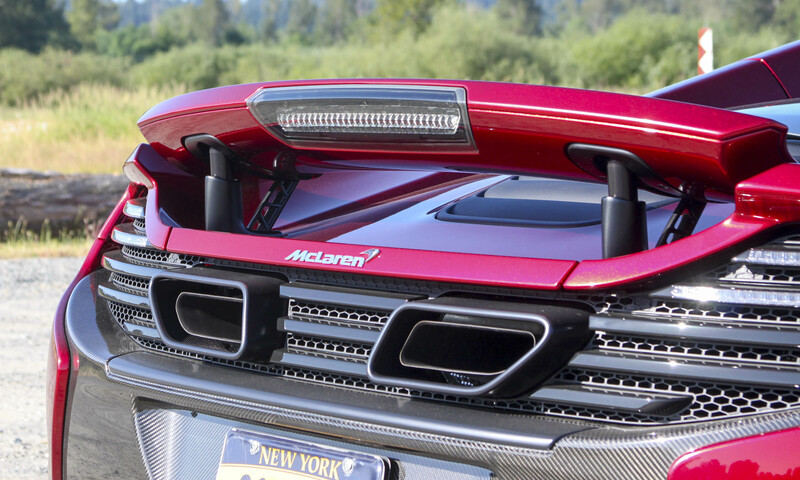 Thank McLaren’s Formula One-winning technology for that. 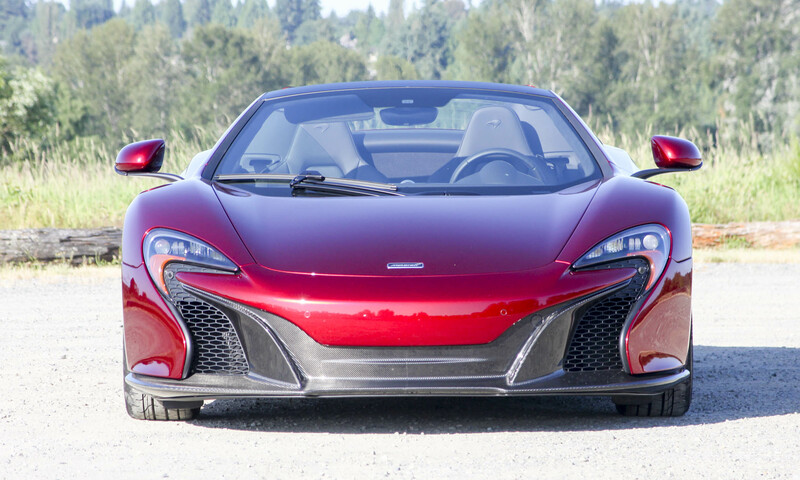 Putting your foot to the floor from a complete stop is easily controllable; the 650S goes exactly where you want it to — exciting, but not scary. 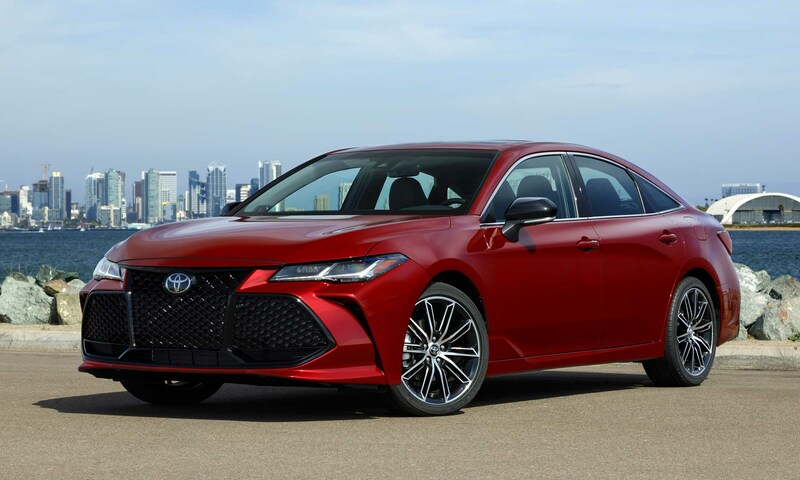 Full braking from triple digits is also without drama, although it is fun to see the rear spoiler pop up as an airbrake to help slow the car and add stability. 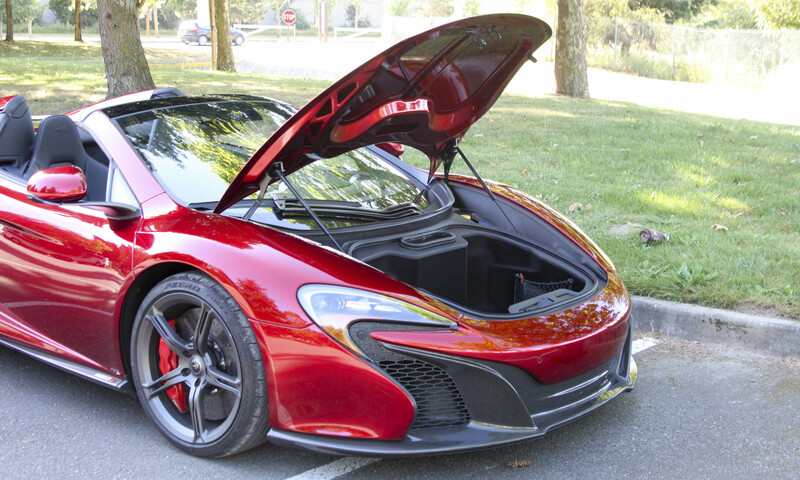 Inside, the McLaren is nice but simple. 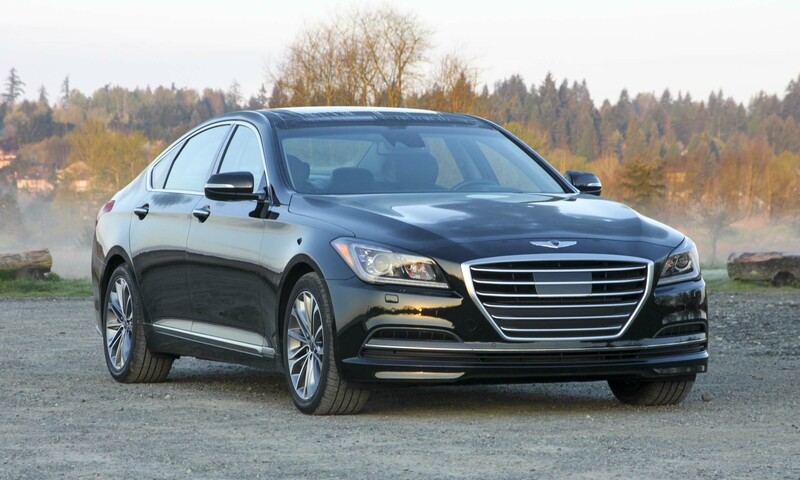 Seats are trimmed in leather and are very comfortable — with side bolsters you don’t move at all, even during high-speed cornering. 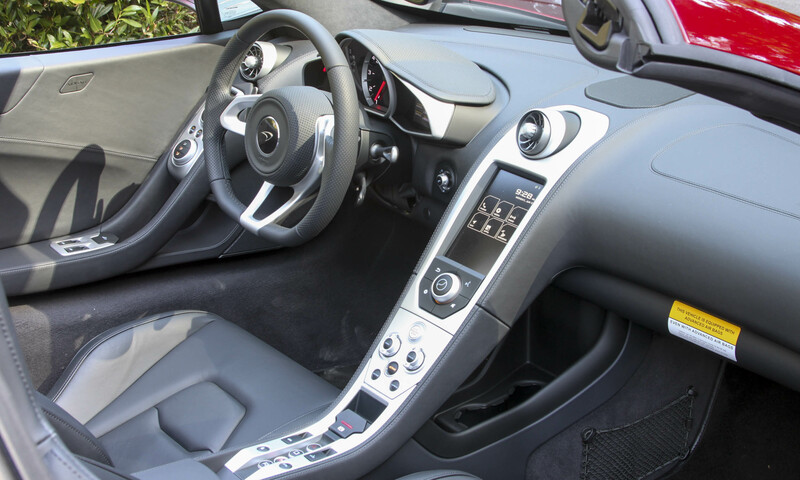 The center console has three main sections: gearbox selection buttons, vehicle dynamics controls and a vertical touchscreen display with access to radio, navigation and phone. 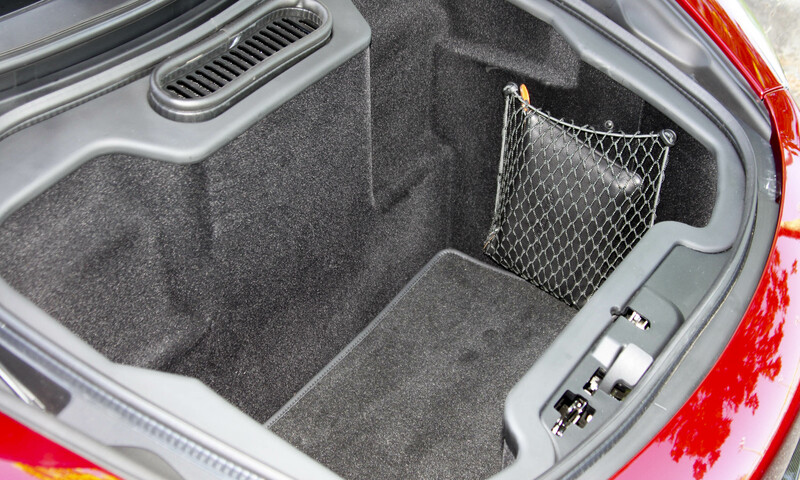 There is no glovebox — just a small net between the two seatbacks and a tiny storage bin that doubles as an armrest. However, there are two cupholders hidden behind the center console. 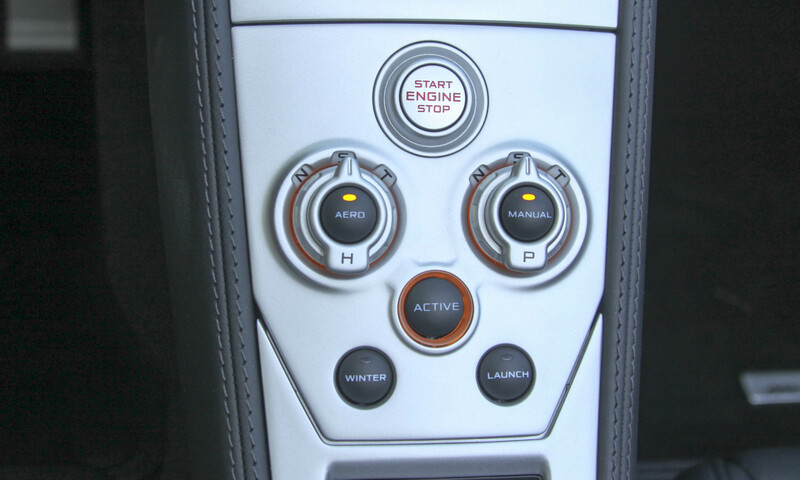 Climate controls are located on the doors. 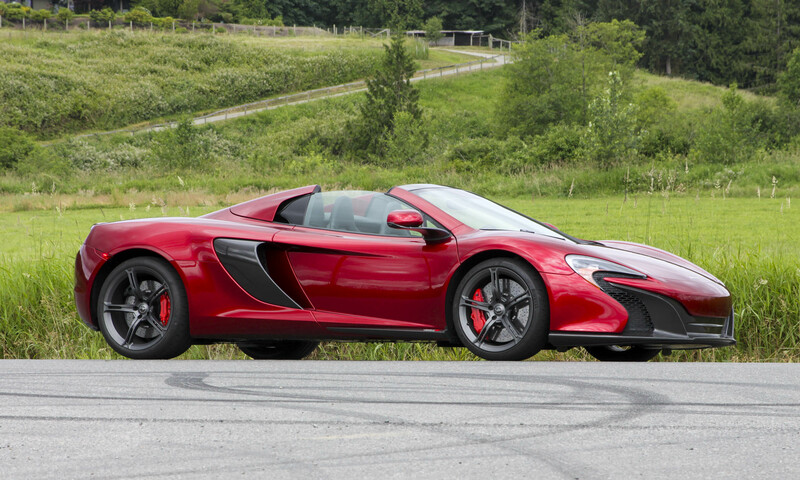 The 650S is a street car, but it would certainly be just as happy on a racetrack. 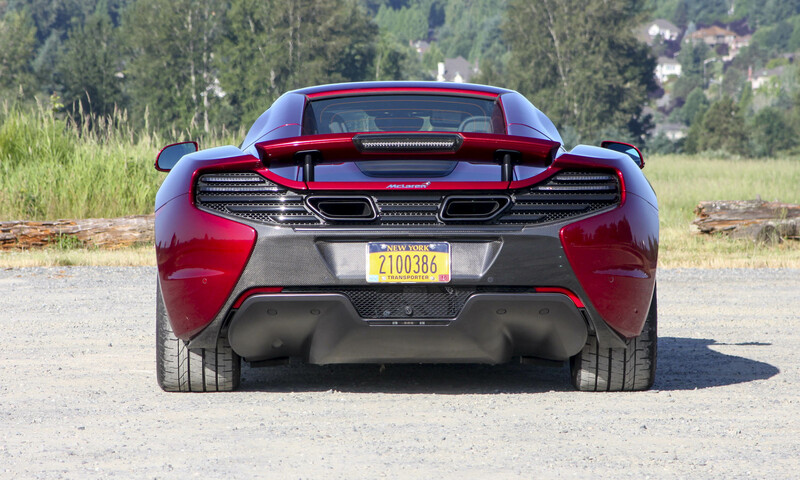 The low, wide stance, sport suspension, sticky Pirelli P Zero Corsa tires and a smart stability control system mean the McLaren has amazing grip. 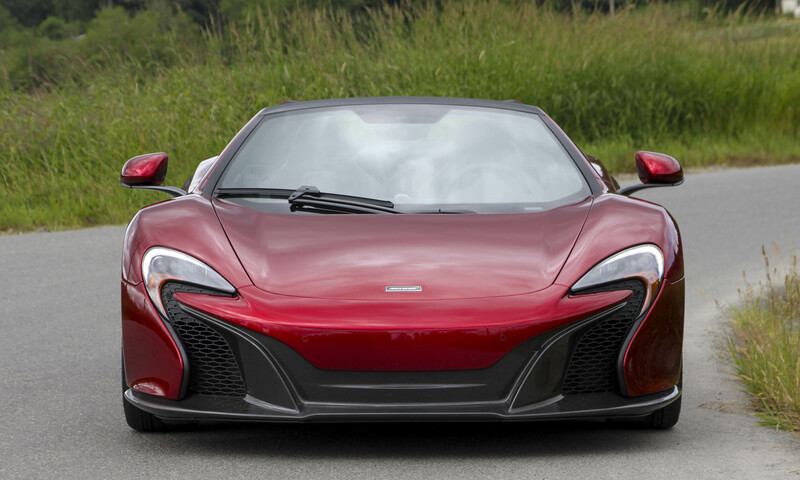 The 650S remains completely flat in high-speed corners — freeway entrance ramps at high speed barely reveal the capabilities of the 650S. 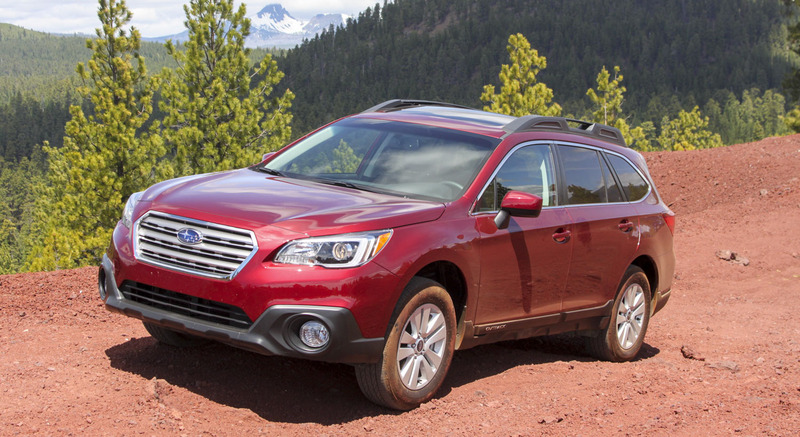 A surprise came when we traversed an unexpected patch of rough road — the suspension easily handled the uneven pavement with no jarring or hopping, which often happens with stiffly sprung vehicles. 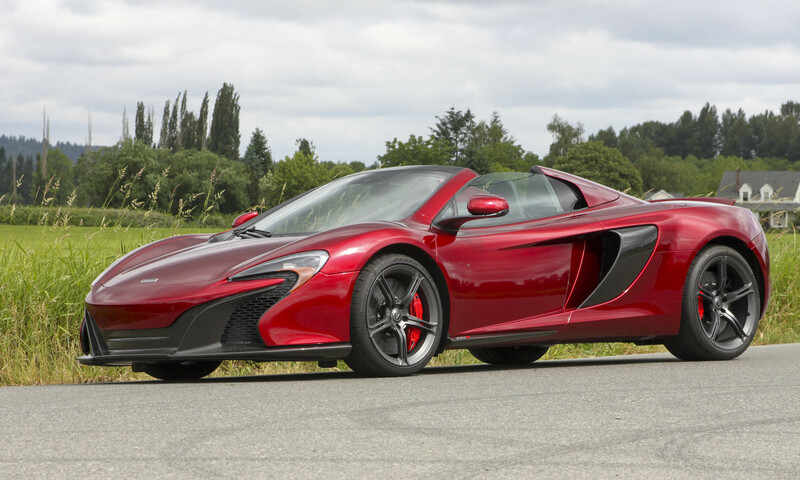 Chalk it up to McLaren’s Proactive Chassis Control, which is designed to provide the best of both words — stiff on the track, comfortable on the street. 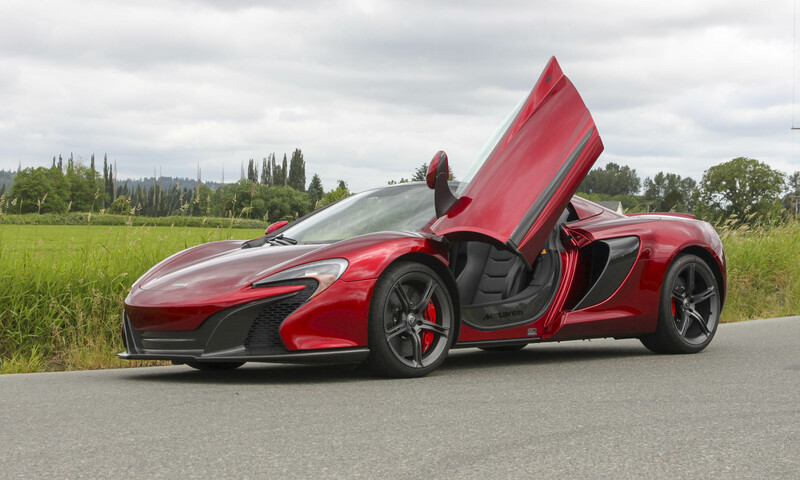 There’s no question that the single-hinge dihedral doors (what McLaren calls them) look cool and are lightweight and thus easy to operate. However, you have to be careful when choosing a location to park, since the doors need extra space to open. Head-in parking in a standard-width spot with cars on either side could result with you trapped in the car — not that this ever happened to us. Ah, the costs of elite motoring . 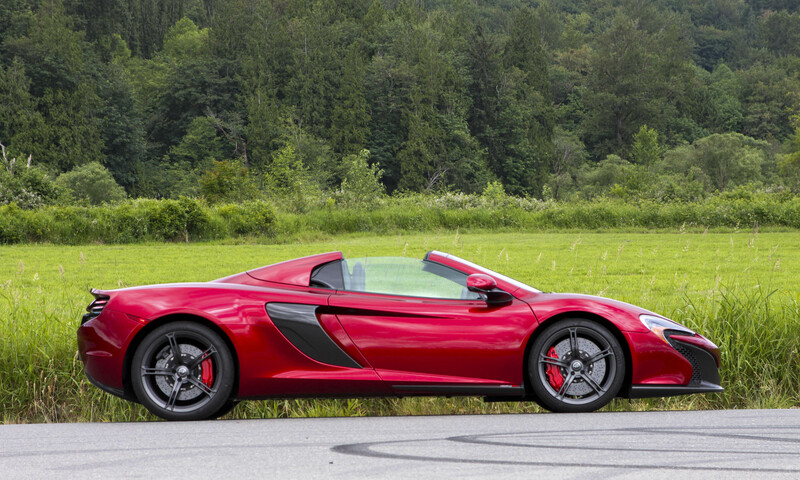 . . when driving the McLaren 650S Spider, you’ll need to plan your route carefully. 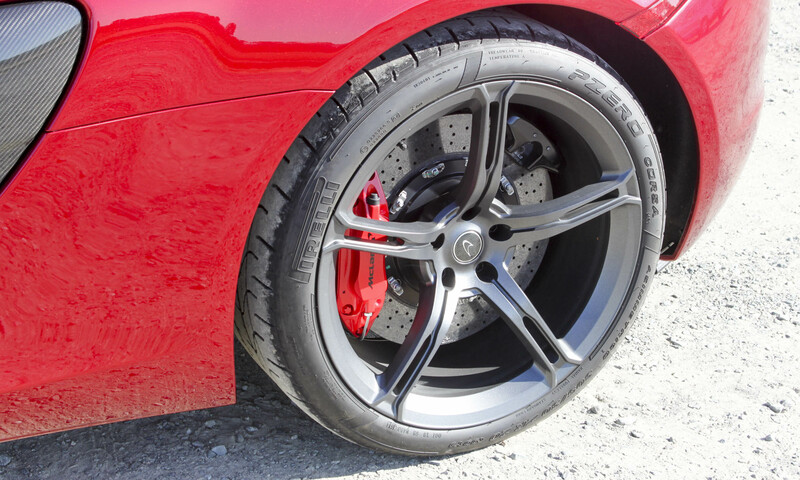 With only a few inches of ground clearance, even a pronounced apron into a parking lot can cause a horrible scraping sound (again, this did not happen to us). 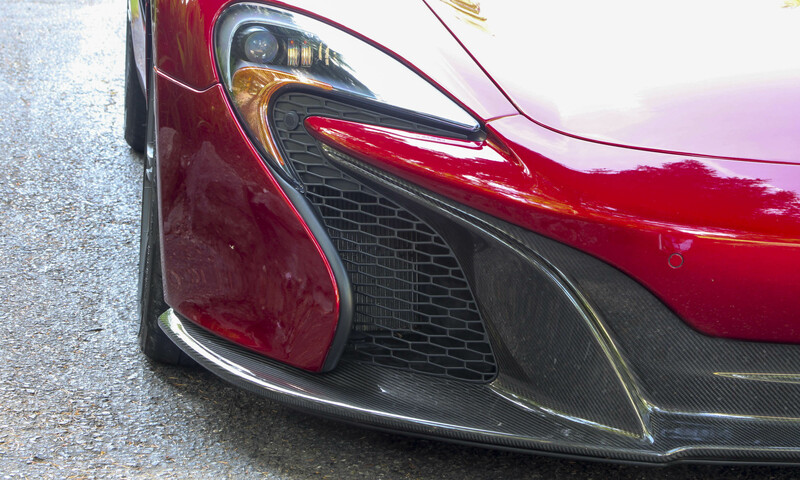 There is an optional Vehicle Lift System that will bring the nose of the car up about 1.5 inches. To be on the safe side, we activated the system when pulling into a gas station, but it required paging through a menu system to operate — easy to do when stopped, distracting while still driving. 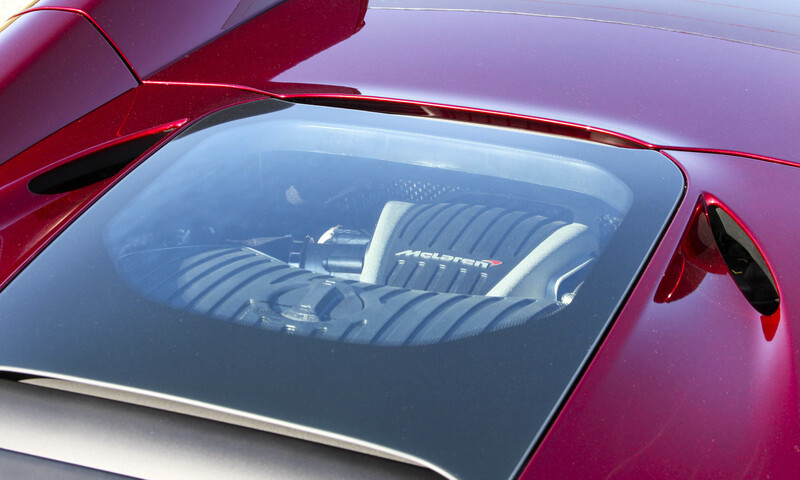 There is so much that stands out in this beautiful sports car, but the convertible top is certainly of special note. 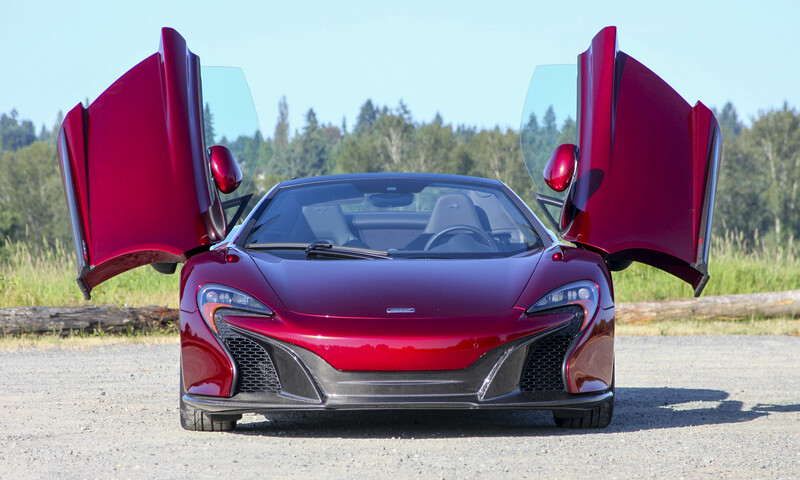 When the top is in place, the 650S can easily be mistaken for a hardtop, providing security as well as protection from the elements. 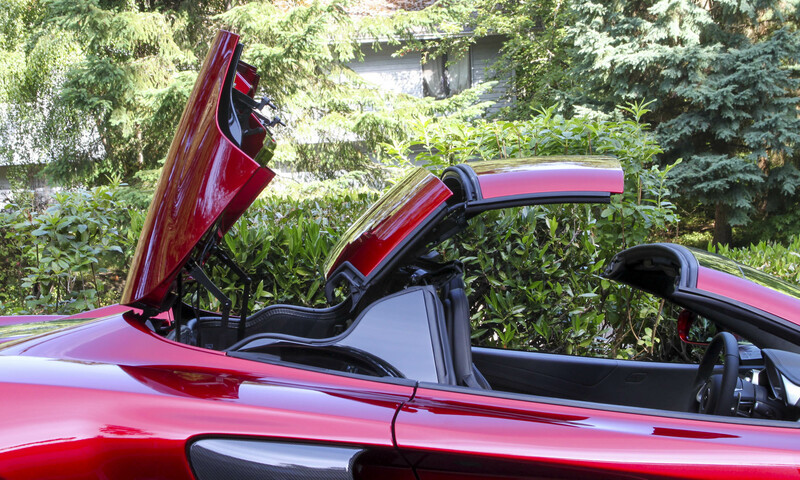 One button retracts the top in 17 seconds, and the innovative folding system hides the top in a small area between the occupants and the engine, completely hidden from sight. 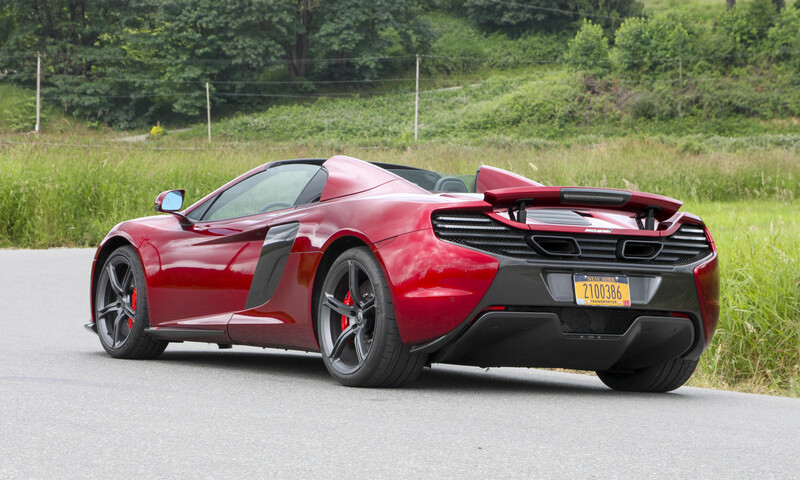 The McLaren 650S Spider is a wide, intimidating beast — until you get behind the wheel. Suddenly you become part of an awesome machine just as capable of cruising through town at 30 mph as it is tearing up twisty country roads at very high speeds. 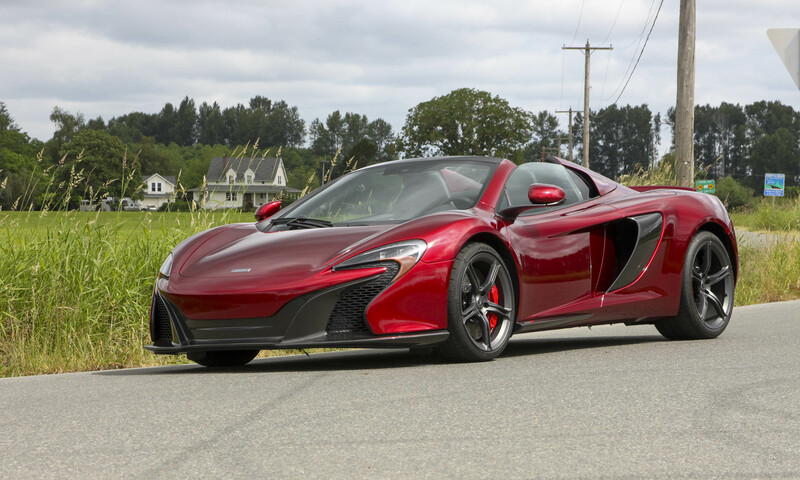 Supercars of yore used to be finicky; meant for occasional drives but too difficult to deal with every day — not anymore. 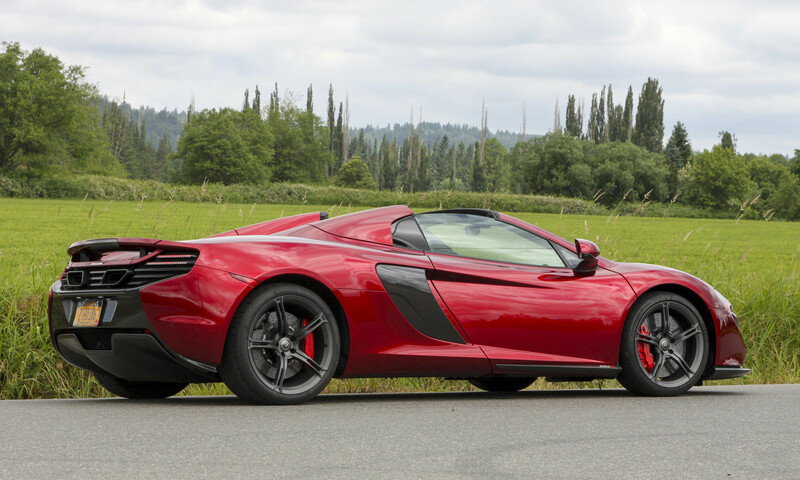 Aside from a few negligible issues, the 650S is easy to drive, looks sensational and will take you as fast as you could possibly want, or dare. 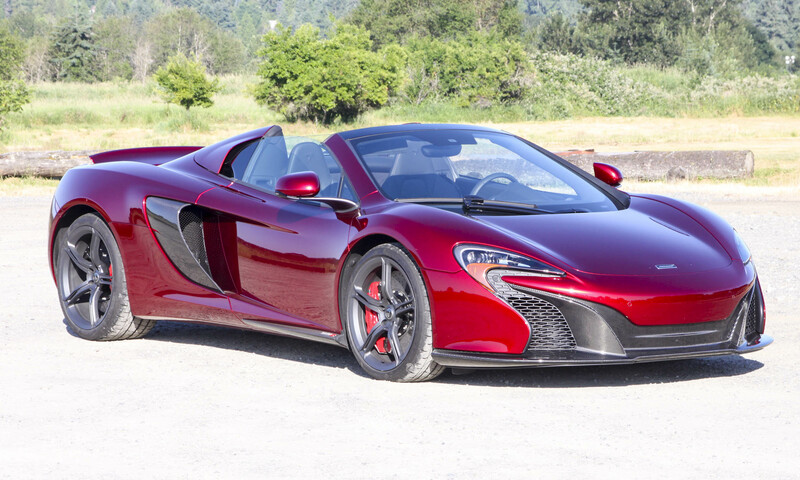 Like we said earlier — $300,000 gets you a pretty nice car.